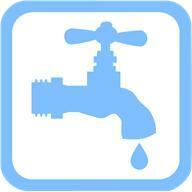 The Mehoopany Municipal Water Authority is a separate and distinct entity from the Township. The Authority is owned by the residents that are served by the system. It is operated entirely by volunteers. During 2012 the Authority obtained a grant from the Wyoming County Redevelopment Authority and was able to replace the water tank. This was a major upgrade for the benefit of the residents served by the system. The Authority meets the second Tuesday monthly at the Mehoopany Township Municipal Building at 237 Schoolhouse Hill Road, 7:00 p.m. If you should have a water emergency, please call 570-582-7208 and if necessary, leave a message. The volunteer crew will contact you as soon as possible and investigate your complaint.